‘Twas the night before Christmas and all through the house—all sorts of memories were being made with Christmas Eve traditions! Have you been searching for things to do on Christmas Eve? You want to create special Christmas Eve traditions, but don’t know what to do on Christmas Eve. 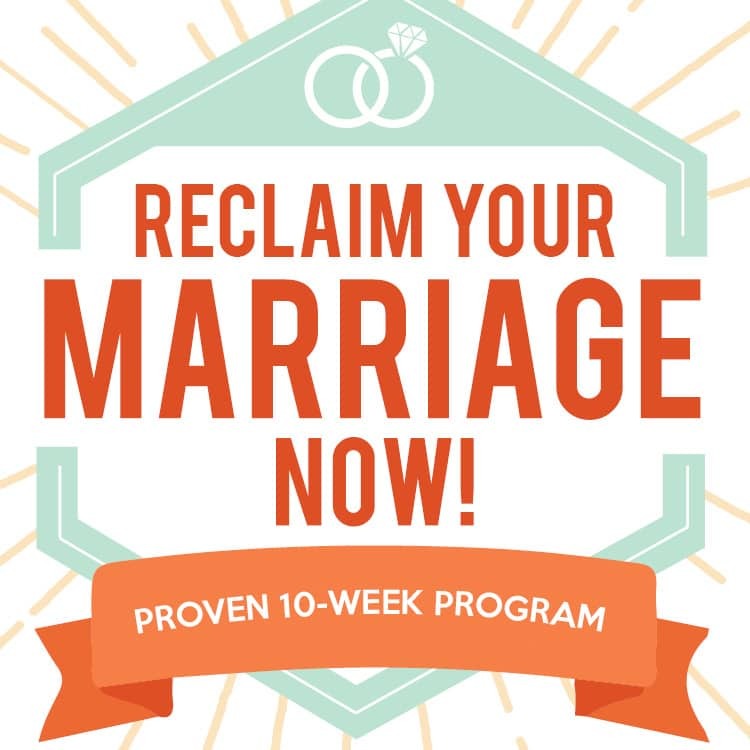 Worry no more, you’ve come to the perfect place! Today we share with you some of our favorite Christmas Eve traditions for families! With so many ideas from Christmas Eve gifts to Christmas Eve games, surely you will find several new activities for your Christmas Eve at home with your family! I am always looking for fun new activities to try with my family—especially for the holidays! It is always fun, too, when you discover something your family loves so much you continue the tradition year after year! Some of my favorite memories growing up are the Christmas Eve traditions we had over the years and many of them I am continuing now with my own family. With so many ideas, you are sure to find great things to do on Christmas Eve! You may find some traditions that you already do in your home, but we hope you find several more to add to your family’s activities! Open One Present – Another fun tradition is to let each family member choose one gift to open on Christmas Eve. Christmas Eve Box (The Dating Divas) – Use the adorable printables to decorate a box that is specifically meant to be opened on Christmas Eve! Then, use the festive tags to label sweet gifts. Such as Christmas pajamas, a Christmas storybook and/or a movie and treats! Open A New Board Game To Play (The Dating Divas) – Give your family a fun, new board game that you can play Christmas Eve night. This post has 101 of our favorite games for families. Read Christmas Storybooks (The Dating Divas) – Gather the family around for storytime. This post contains some of our absolute FAVORITE storybooks that all center around the Christmas holiday. Watch a Christmas Movie (The Dating Divas) – Link to my Christmas Movies & The Santa Clause Movie Marathon. Add this to your other Christmas Eve traditions to top off the evening snuggling up and enjoying the company! Christmas Eve is the night Santa sets out to deliver his gifts to the children. We found several classic ideas as well as some fun uses of technology. Let it help capture some of Santa’s magic in your home! Add some fun Christmas Eve traditions that make the magic of Santa come alive! Santa Cookie Kit (The Dating Divas) – Fun printables and activities for your family to use while making cookies for Santa. PLUS, try a fun new recipe when leaving cookies for Santa. This post has 100 of the BEST Christmas cookie recipes on the web. Santa’s Key (The Dating Divas) – A fun way to explain how the magic of Santa works when your family doesn’t have a chimney! Reindeer Food (The Dating Divas) – Leave some delicious treats for Santa’s reindeer to enjoy. Call Santa (Imgur) – Did you know that you can chat with Santa and hear his voice? Just text your child’s name to the number and Santa will call them. Capture a Picture of Santa (Capture the Magic) – This might be one of the most clever things I have ever seen. Upload a photo of your Christmas tree and family room and they will add Santa to your picture. There is a small fee, but how cool would this be? Watch Santa’s Reindeer: Live Cam (Reindeer Cam) – See Santa’s reindeer live! You can see him feed Rudolf and more! Follow the Santa Tracker (Google) – Is there anything Google doesn’t do? If you ever doubted, check out this Santa Tracker they have for families to follow Santa’s travels on Christmas Eve! Visit From Santa – What would make Christmas Eve more complete than a visit from Santa? We always had a neighbor wear a Santa suit and stop by our house before we left to deliver presents. 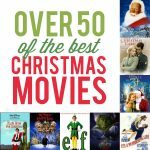 The Grinch Dinner and a Movie (The Dating Divas) – Fun ideas to go with this classic Christmas movie favorite! Snuggle up with some delicious desserts, dinner, and printables to make the night memorable! 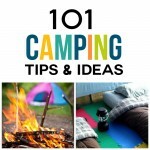 Christmas Eve Campout (The Dating Divas) – Have a family sleepover under the glowing lights of the Christmas tree. 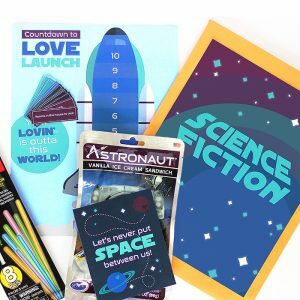 This post includes printables, activities and more for a very memorable evening! Christmas Light Awards Activity (The Dating Divas) – While driving around looking at all of the Christmas lights, select your favorites and leave them awards! Christmas Light Scavenger Hunt (The Dating Divas) – Hop in the car and drive around to look at all of the twinkling lights. Add in a fun scavenger hunt competition and enjoy! Secret Decoration Attack (The Dating Divas) – This doorstep Christmas surprise is the perfect gift for your friends or family! It will make them laugh and feel so loved this Christmas season! Decorate Gingerbread Houses (The Dating Divas) – Building gingerbread houses is one of the most classic Christmas Eve traditions. This fun post adds fun printables to this tradition including awards, decorating templates and more! Cookie Decorating (The Dating Divas) – Fun printables and activities to go along with decorating delicious Christmas cookies. Polar Express Family Night (The Dating Divas) – Hop aboard the Polar Express (AKA your minivan or family car) and enjoy an evening of hot cocoa, games and, of course, the classic movie, The Polar Express. 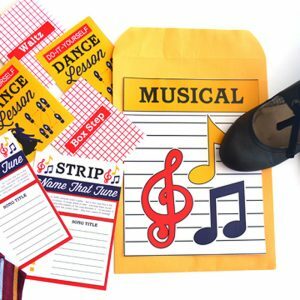 These printables are super fun – including a ticket for the train! Ugly Sweater Party (The Dating Divas) – Reach deep in your closets and find the most hilarious Christmas sweaters. This post includes games, activities and even a contest with prizes for the ugliest sweaters. White Elephant Gift Exchange (The Dating Divas) – If you have lots of family in town, how fun would it be to host a white elephant gift exchange on Christmas Eve? Have everyone bring the wackiest gifts they can find! Host a Christmas Party (The Dating Divas) – Host a Christmas party, either with friends or your family with any of these 15 Christmas party themes. 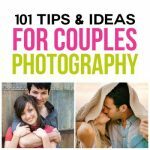 Make Hot Cocoa (The Dating Divas) – Snuggle up near the fire with some delicious hot chocolate or any of the 50 warm drinks in this post! One of our favorite Christmas Eve traditions is to play games together! Here are a few of our favorite things to do on Christmas Eve! Play Win It in A Minute Games (Christmas Edition!) (The Dating Divas) – Minute to Win it games are always hilarious and we have created a whole collection of games that are Christmas-themed. Reindeer Games (Life. Design. and the Pursuit of Craftiness) – This site is a goldmine of super fun Christmas games that all center around a reindeer theme. Super clever! Christmas Bingo (Crazy Little Projects) – Fun and festive printables for a Christmas-themed game of bingo. Christmas Scavenger Hunt (The Dating Divas) – Race around the house following clues and completing hilarious Christmas activities! Candy Cane Hunt (Dirt & Boogers) – Grab a package of candy canes and hide them throughout the house. Then, let the hunt (and fun!) begin! Christmas Charades (Childhood 101) – Get silly with your family as you try to act out various Christmas words without making any sounds. Name That Christmas Song (Diva Girl Parties and Stuff) – Test your family’s knowledge of classic Christmas tunes with this fun Christmas game. Play Christmas Holiday Games (The Dating Divas) – Choose from this gigantic list of holiday games for the perfect Christmas Eve game night. Help shift the Christmas focus from “getting” to “giving. Do some service, these activities are the best kind of Christmas Eve traditions for families. There are many ways you can serve, but here are a few of our favorite Christmas-themed ideas! Christmas Caroling – Warm up the vocal chords and go caroling around your neighborhood. Spread the Christmas cheer with your family! 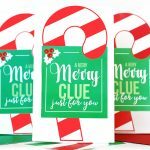 You’ve Been Jingled (The Dating Divas) – Drop off some Christmas goodies to a neighbor and use these adorable printables when you leave them at their door! 12 Days of Christmas (The Dating Divas) – This idea is the perfect lead up to Christmas Eve and a great way to serve a family in need. Leave simple gifts at their door with these adorable bags and tags. Santa’s Secret Service (The Dating Divas) – Spend the day serving each other with these adorable printables. Children can receive a letter from Santa asking for his help in serving. With official badges and service tickets, serving has never been so fun! Send a Care Package (The Dating Divas) – Know someone who will not be with you for the holidays? Use Christmas Eve day to prepare and send off a special Christmas package. Ding-Dong Ditch (The Dating Divas) – Ding-dong ditching doesn’t have to be a bad thing. Leave your neighbors a treat and make their holiday sweeter. 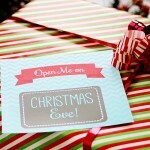 Deliver Gifts to Neighbors (The Dating Divas) – Use Christmas Eve to deliver gifts to your neighbors and friends. 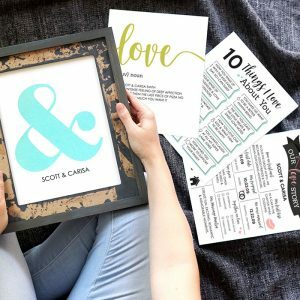 We have some gorgeous printables and lots of ideas to make your gift giving quick, easy and memorable! Wrap Presents Together (The Dating Divas) – Many families use Christmas Eve for wrapping Christmas presents. This post has some unique gift wrapping tips and ideas. Of all the Christmas Eve traditions in your home, we hope that you can spend some time remembering “the reason for the season”—Christ. Christmas is a time to celebrate Christ’s birth. Here are a few ways your family can remember Him on Christmas Eve. Read the Story of Christ’s Birth (True & Faithful) – Open up the Bible and read the scriptures that tell of Christ’s birth. Act out the Nativity (The Dating Divas) – Act out the story of Christ’s birth with these fun (and free!) Nativity Printable Masks! Watch Joy to the World or The Nativity Story – Recall the story of Christ’s birth with any of the many movies out there. These are two of our favorites! Listen to Christmas Music (The Dating Divas) – Ditch the commercial Christmas songs and enjoy a playlist of Christ-centered Christmas music. This post has over 3 hours of beautiful Christmas tunes that really focus on Christ. Write a Letter to Jesus (The Better Mom) – Spend some time on Christmas Eve to write a letter to Jesus. As a gift to Him, share how you plan to improve yourself in the coming year. Read a Storybook About Christ (The Dating Divas) – Sometimes the best way to teach kids about Christ’s birth is through stories. This post has 45 storybooks (with links) that all center around Christ and the true meaning of Christmas. Attend a Christmas Eve Worship Service – Many denominations hold special worship services on Christmas Eve. Find one near you and spend the evening singing Christmas hymns and remembering the birth of the Savior. Christ-Centered Christmas Countdown (The Dating Divas) – This unique advent calendar leads up to Christmas Eve but it also includes SO MANY ideas for activities that you could do on Christmas Eve. And the best part? All of the activities will focus your family on the reason for the season. What are some of YOUR favorite Christmas Eve traditions from the list? Christmas Eve is the perfect night to spend time as a family having fun, laughing and remembering what this holiday is all about. You may even have some family Christmas Eve traditions of your own that you look forward to year after year – see if your traditions made it on our list! If not, add a comment below, we’d love to hear what your favorite Christmas Eve traditions are! Please share! Also, you can read about some of the Dating Diva’s favorite Christmas traditions and then look through these 101 Christmas Traditions For Couples! I just LOVE Christmas time! Such a fun post, Sarina! What a GREAT post, Sarina! We are normally with family on Christmas Eve but I’ve been wanting to do something with just my little family. I’m calling it Pre-Christmas Eve (the day before Christmas Eve lol) and this list will help me make that day even better! Awww thank you! You are so kind! 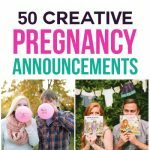 This is an awesome list! I’m especially excited to try the service and Christ centered activities! I so love starting new traditions and all of these are soooo cute! Pinned! I love all these!! I love hearing what others do! Thank you! I love all of the different traditions that people have! So great!